Think of a merry-go-round, and the image of horses leaps to mind. 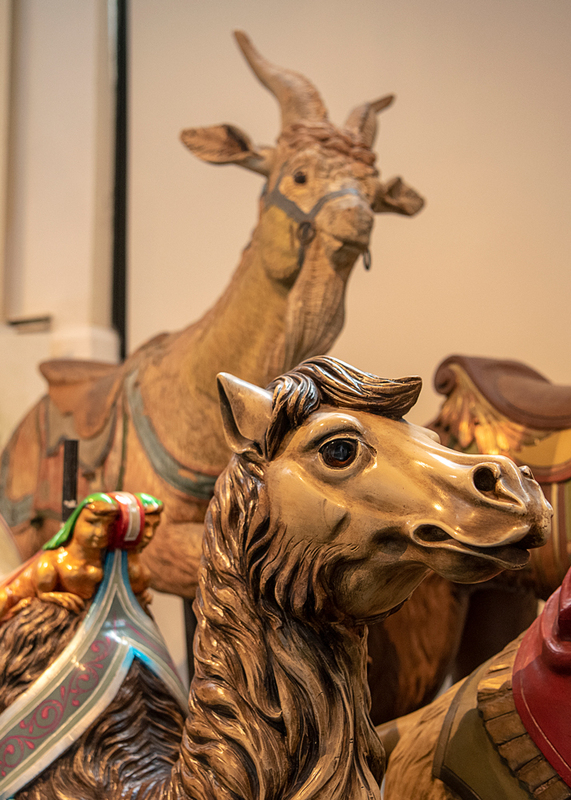 But organizers at the Merry-Go-Round Museum, along the shores of Lake Erie, want you to know there are more to carousel critters than just painted ponies. 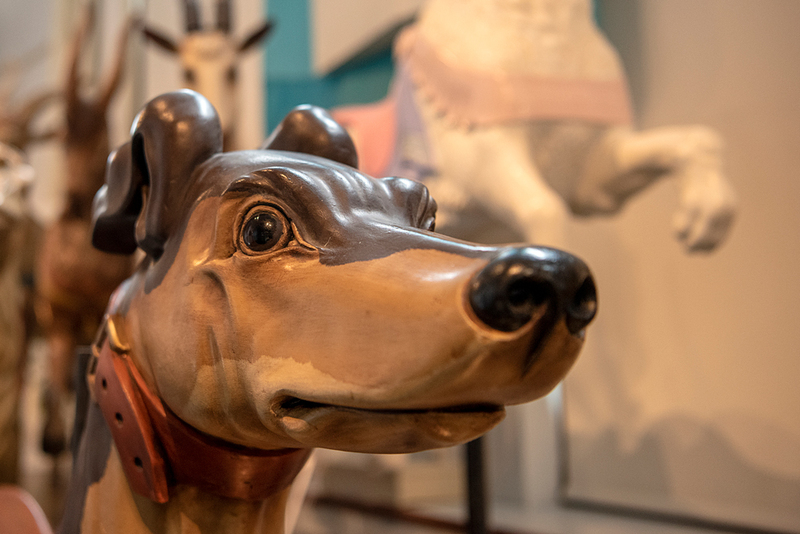 The museum, which opened in 1990 near Cedar Point in Sandusky, displays a mixed breed of figures and provides an opportunity to ride one aboard a restored 1939 Allan Herschell carousel, the main attraction of the museum. 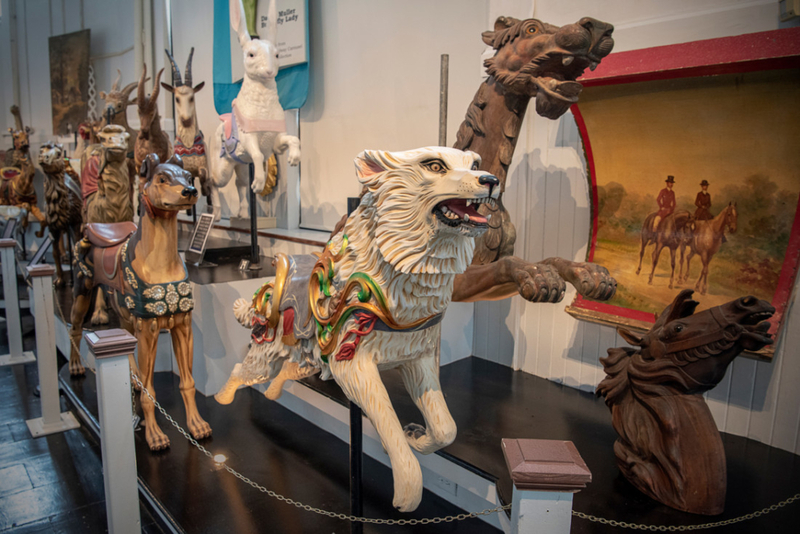 Besides horses, visitors will find a rabbit, camel, goat, chicken, dragon and a menacing wolf. All are masterfully carved from wooden boards and painted in realistic detail. Some come from France, built around the turn of the 20th century. The museum also offers an opportunity to see and chat with a carver at work. During a recent visit, I learned that non-horse figures are called menagerie pieces. Some of the old ones are on loan from private collections. 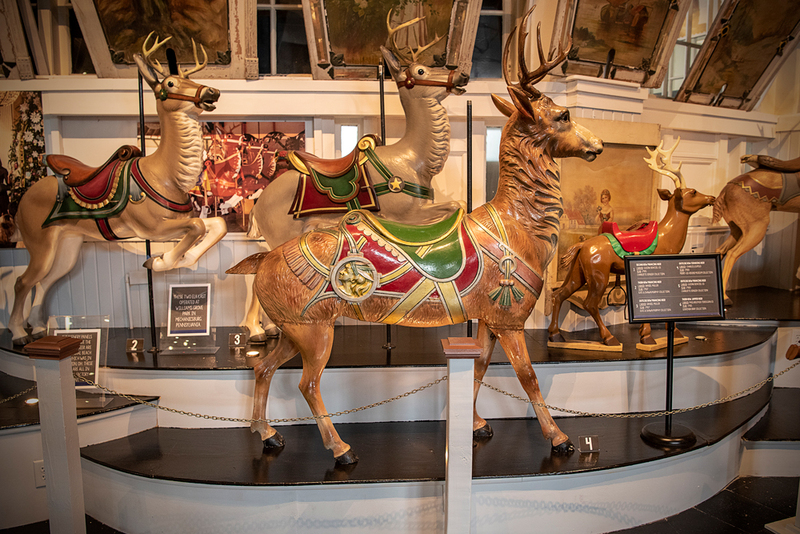 Others were recently carved or restored and soon will be installed on working carousels throughout the country. 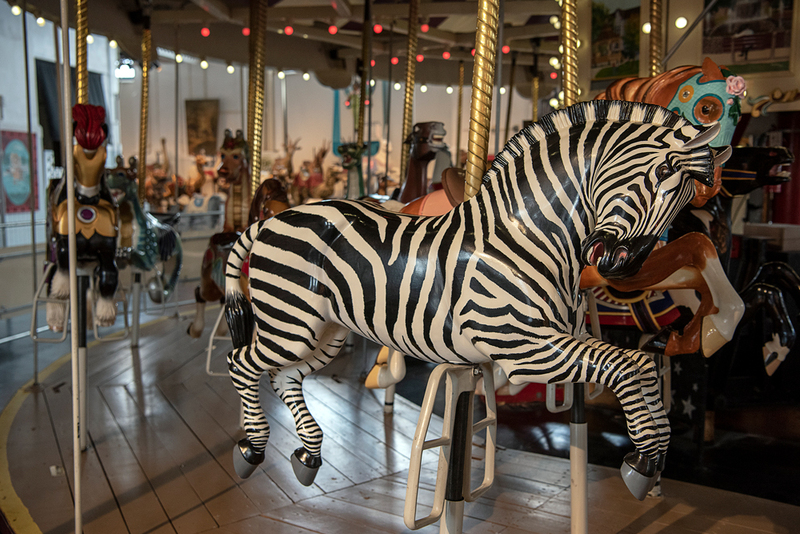 Just 200 original wooden carousels are still in operation across the United States today. The first thing you’ll notice, though, is the building that houses the museum. Built in 1927 as a post office, it’s on the National Register of Historic Places, thanks in part to its unique, round shape. 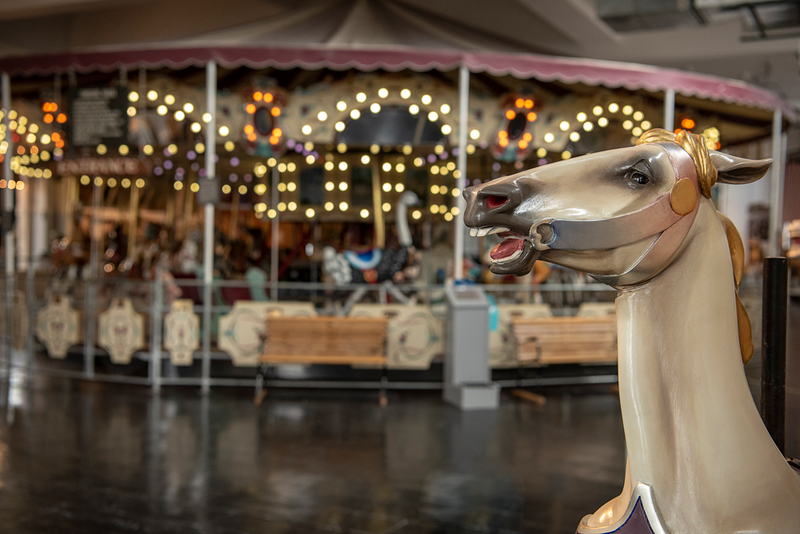 It became a carousel museum in 1990, two years after the Postal Service issued four commemorative carousel stamps. Sales of the stamps drew thousands of people to the odd duck of a building. Carousel enthusiasts put two and two together and decided what better place to house a round ride than a round building in the center of town. 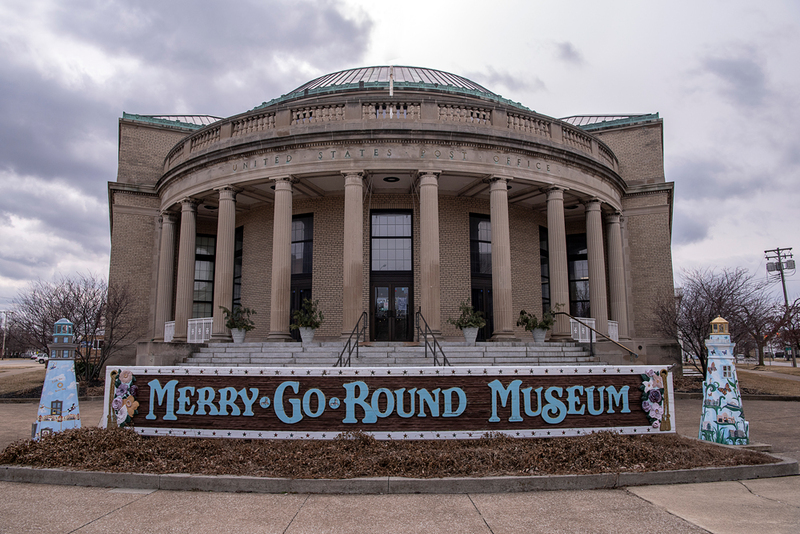 The Merry-Go-Round Museum is located at 301 Jackson St., Sandusky. Admission is $6 for adults; $5 for seniors ages 60 and up; and $4 for children ages 4-14. 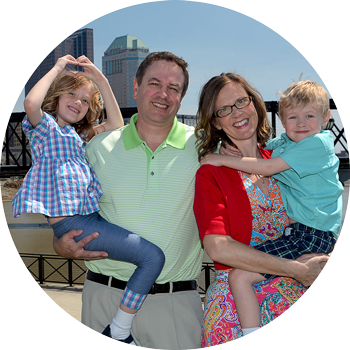 For more information, call 419-626-6111 or visit www.merrygoroundmuseum.org.